Wrap-around brace to control the forefoot and stabilise the ankle. Ideal alternative to strapping. The TriLok is a versatile ankle brace that provides protection, support, and pain relief from multiple foot and ankle injuries. 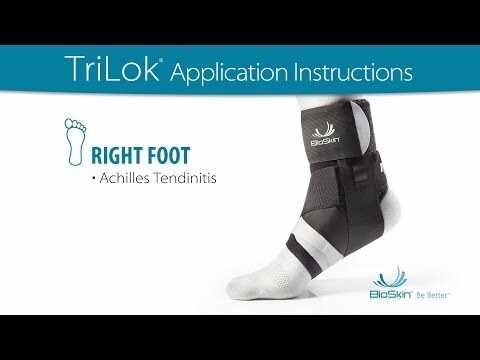 The TriLok provides protection and support to injured ligaments to prevent further injury and reduce pain after a sprain. The FootLok Strap acts as an external ligament, using leverage to protect the weak or vulnerable ligaments around your ankle. The FootLok strap wraps around your midfoot and then attaches to the outside of your ankle. You can adjust the level of support by pulling up harder on the FootLok strap. The TriLok also includes stirrup straps to increase the stability even further. The TriLok alleviates plantar fasciitis pain by lifting the arch and supporting the plantar fascia. The FootLok strap wraps around the midfoot and allows you the ability to deliver adjustable support, by pulling up on the plantar fascia. The TriLok may also be used as a light night splint to hold the foot in dorsi-flexion while you sleep. The TriLok offers an innovative approach to relieving the pain associated with posterior tibial tendon dysfunction, or PTTD. The key to the TriLok’s effectiveness is the patented, white FootLok strap. The TriLok’s FootLok strap lifts the arch and relieves pain by correcting over-pronation and restoring the foot to its natural position. The TriLok's FootLok strap mimics the function of the peroneal tendons, attaching to the midfoot and lifting the outside edge of the foot. 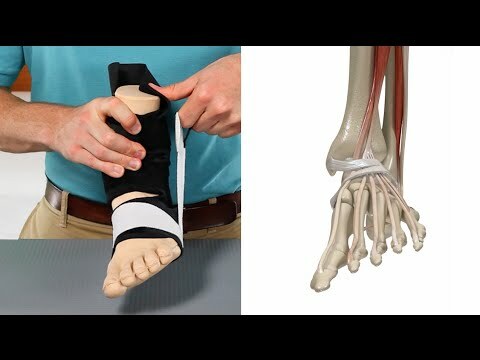 As the FootLok strap lifts the outside of the foot, it offloads the peroneal tendons, allowing them to heal and regain their ability to support and protect the ankle.